Burning of fossil fuels is a major source of industrial greenhouse gas emissions, especially for power, cement, steel, textile and fertilizer industries, etc. The major greenhouse gases emitted by these industries are carbon dioxide, methane, nitrous oxide, hydrofluorocarbons (HFCs), etc., which all increase the atmosphere’s ability to trap infrared energy and thus affect the climate. The Kyoto protocol is an international agreement between more than 170 countries. It introduced the system of carbon credits which came into existence as a result of increasing awareness of the need for controlling emissions. Under the Kyoto protocol, signed in a UN mandated convention, many developed countries have agreed to legally binding limitations/reductions in their emissions of greenhouse gases in two commitments periods. The first commitment period was between 2008 and 2012, taking 1990 as the base year for comparing the emission levels. During this period, greenhouse gases (GHGs) were to be reduced by five per cent. The second commitment period applies to emissions between 2013 and 2020. Carbon credits are generated by industries in the developing countries that shift to clean development projects (CDMs) and thereby save on energy consumption, consequently reducing their greenhouse gas emissions. These credits are known as Certified Emission Reduction (CER). For trading purposes, each tonne of carbon dioxide (a major GHG) emission avoided gets the enterprise one CER, which can be sold either immediately or through a futures market, just like any other commodity. The certificates are sold to entities in developed countries, which have emission reduction targets to achieve. These entities in the developed countries find it cheaper to buy ‘offsetting’ certificates rather than invest in reducing emission in their own industries. An investor from an industrialized country, or an industrialized country government, can invest in, or provide finance for, a project in a developing country that reduces GHG emission. The only precondition is that the emission should be lower than it would have been without extra investment – i.e. compared to what would have happened without CDM. Paryavaran Mitra’s involvement: Gujarat-based NGO Paryavaran Mitra got interest in CDM arose after it came to know about the way the CDM was being used as a money spinning means by Indian companies. The genesis can be said to go back to more than two decades ago, when it was involvement in a struggle, accompanied by local farmers, against the pollution of a company called Gujarat Fluorochemicals Limited (GFL), situated in the Panchmahals district. GFL manufactures refrigeration gases, HCFC22, in Ranjitnagar village in Ghoghamba Taluka of the Panchmahals district since 1989. Situated 160 km southwest of Ahmedabad, it is just 10 kilometres from the historic site of Champaner-Pavagarh. GFL was emitting fluoride in waste water and air since the operation of the plant began. Fluoride level of the area in air, water and soil increased. Bore-well water deteriorated due to increase in fluoride. Air emission began to affect crops and other vegetation of surrounding farms. Farmers of the area approached the Gujarat High Court to get justice and filed public interest litigation (PIL), vide SCA 5280/1995 against GFL, but without much success. The GFL managed to get a clean chit from the Gujarat Pollution Control Board, which said that the pollution was not emanating from the company’s operations. A decade later, GFL became the reason for a leakage of a toxic gas from one of its tankers. This happened on November 29, 2005. The toxic gas spread to surrounding villages. It was release in midnight, creating panic and suffocation among local villagers. The Paryavaran Mitra wrote to the collector on December 2, 2005, seeking clarification regarding gas leakage. The GFL published public notice in various Gujarati and English newspapers clarifying that the gas leakage did not happen from its premises. But there the matter ended. This led the organization to understand the CDM process and projects in India, especially how was it possible that an industry which had been polluting natural resources for years could be registered as the first Asian CDM project? This contradiction raised suspicion about the process of carbon trading going on, and forced the organization to take stock of the CDM projects in India. There are absolutely no data on implemented and upcoming CDM projects. It is close loop between the government, the private project proponent, the operational entity (third party evaluator hired by companies) and the buyer. Even multi-commodity exchanges started trading CER in India after February 2008, so shareholders are indirectly involved in carbon trading. In fact, the Paryavaran Mitra, found that there is not much information or awareness on CDM projects in public. It is very difficult to obtain information in this regard. Yet, its involvement in the matter showed the status of an international treaty in India. It approached the United Nations Framework Convention on Climate Change (UNFCCC) in May 2006 for information on public consultation in the CDM process. The UNFCCC advised the Paryavaran Mitra to approach the national government, as public consultation is a Central government issue for any country. After email conversation of one year, the UNFCCC advised the Paryavaran Mitra to put comments at validation stage. When the Paryavaran Mitra approached the Ministry of Environment and Forests (MoEF) on public consultation issue, it replied back that the whole process is designed by the UNFCCC. In reply of several RTI applications, the ministry replied that till the end of 2005 it had 227 pending applications for CDM projects, which increased to 793 by end of year 2007. Initially, the ministry told the Paryavaran Mitra to see the websites of CDM India and UNFCCC for most of the information asked for. The ministry had no record of transaction of CERs, bank details and money earned for any project. This was surprising. The terms and conditions of clearance for CDM for any project require that the ministry should be informed regarding any transaction. The name of the buyer of CER is confidential, hence this information was not provided. Buyers of CERs of Indian CDM projects are mostly from European countries, with UK topping the list with more than 100 projects. It is very strange that the government had no record of transactions and money earned through it. High stakes in carbon credit: According to latest available data, the National Clean Development Mechanism Authority (NCDMA) that functions under the Ministry of Environment and Forests (MoEF), approves projects for CDM status at the national level. According to the ministry, until March 2012, the NCDMA approved 2,195 projects for CDM status. The CDM executive board, a supervisory arm of UNFCCC, registered only 827 of these projects. A conservative estimate of the total revenue generated by the sale of carbon credits from these projects is around Rs10,000 crore. Among others, big names such as Tata, ITC, Reliance, Jindal Steel, Bajaj, GFL, Adani have earned good returns under CDM. For common persons it is hard to get any information on CDM projects. Public consultations are done at two stages – preparation and validation stages – but these are mere formalities. People are actually not aware of such consultations, and most of the time feedbacks are not received for any comments at validation stage. The Paryavaran Mitra sent comments on two projects of Gujarat at the validation stage, but rarely received any feedback. The Department of Forest and Environment in Gujarat started a CDM cell to encourage CDM projects in Gujarat. But the cell did not have information of existing projects or their monitoring. Shareholders are attracted towards CDM projects, as money earned by industries through the existing mechanism is treated as the company’s earning, and they are projected as assured returns in future in annual general meetings of companies. But nobody gives a thought to the condition of people living in surrounding areas. There is no proper record or data of the pollution spread in the environment by companies. Local people who have suffered due to pollution in the past, post-implementation of CDM, are promised clean environment, but no compensation for what they have suffered. The revenue from implementation of CDM is calculated as another income of the company, and so gets due concession in income tax, though the government has still not introduced any tax formula to compute the taxation system for CDM revenues. Nor has the government started any monitoring system to oversee the actual levels of carbon emission reduction by the CDM projects that have been initiated. The first Indian CDM project was registered on March 8, 2005. In another three-and-a-half years 354 more projects were registered. But even after this, the question remained whether GHG reduction could be achieved, or if growth had become sustainable. CDM projects are not carried out in a prescribed format with the participation of people, especially those who are affected by industrial pollution. There is no transparency, accountability, checks, control or sharing mechanism in the entire of operation of CDM projects. While international norms are being flouted, what is at stake is colossal damage to the environment in exchange for exorbitant portions of money, which should actually be used to alleviate environmental pollution and to benefit those affected by pollution. Therefore, a mechanism which was introduced to bring down emission of GHG has been made into a money spinning tool by industrial houses. And while the government remains oblivion of the matter, a joint effort to save our environment has been dangerously crippled. Future action: The Paryavaran Mitra now wants to take up a more in-depth and comprehensive study on the issue, to gather more information and study other aspects. This will enable the organization to launch action at appropriate forums and at a larger scale that can bring desired changes in the dealing of CDM projects and hold industries and authorities accountable for implementing the mechanism in the right spirit and method. But this is not being executed for want of an appropriate institutional partner. Already, the Paryavaran Mitra can claim to be the only organization in the country working on the issue of CDM. Many companies have now started the practice of publishing notices in newspapers for the information of people regarding public hearings conducted by such companies. The MoEF, on its part, has also asked the companies to commit two per cent of their CER revenues towards social development work. However, much needs to be done on this issue and it remains a challenge, as it involves international markets and enormous amounts of money that is being transacted. The reasons for the Paryavaran Mitra to work on the issue of the CDM were non-compliance of an international treaty and ongoing damage to environment in the garb of pollution reduction. The CDM projects are not implemented as per the guidelines of the treaty and the damage to environment continues while industries, both in India and abroad (the buyers) receive CDM certification and money. To ensure that the norms of the treaty are complied with, industries should make necessary efforts to install CDM and actually reduce the emission of GHG. People living in surrounding areas will benefit in some way by the financial gains that industries make from selling their carbon credits as part of CDM. 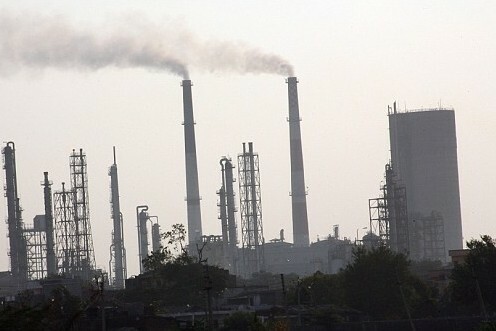 The report quoted top environmentalist Sunita Narain of India’s Centre for Science and Environment to say that the cable highlighted the dishonesty of the carbon credit system and India was no more guilty than those measuring the emission reductions in projects. “This is not an Indian problem it’s been designed not to deal with climate change but for creative carbon accounting to benefit a lot of certifiers. We call it the corrupt development mechanism,” she said.